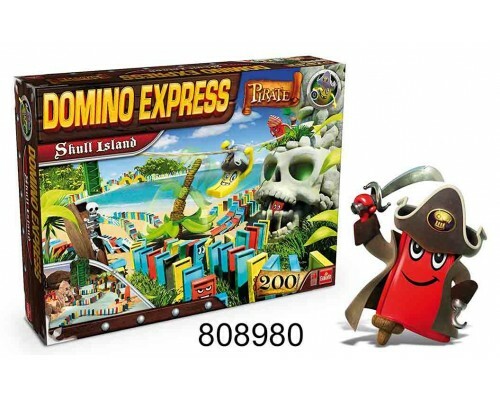 Wholesale Domino Express skull island set, great way to spend time with your kids. An exciting sea voyage to Dominoes Express Skull Island. There are chain reaction stunts, with Pirates Dominoes creating fascinating tricks that will amaze you. The Skull Island Adventure has lots of add-on stunts to play with over and over again. The fun lasts foreever and there is always a changing scene and event. 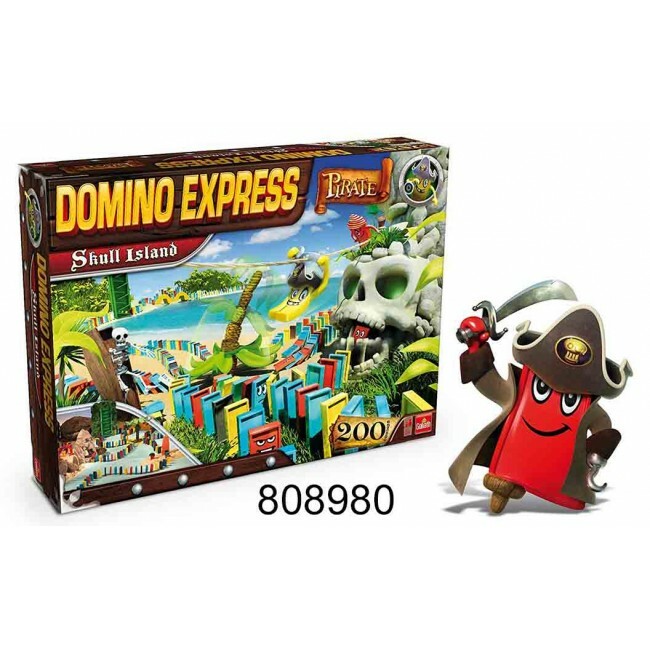 With Domino Express Pirates: "Skull Island" the pirates tangle with the island's track. Dominoes falling over one another release a marble ball into a zigzag track! A coffin opens revealing a Skeleton inside!.... Wave like tracks lead to a palm tree, which falls with a mighty din and within this commotion, the domino effects begin.... in seven new tracks!